Launched in 1993, the Davies Awards program has promoted electronic health record-enabled improvement in patient outcomes by sharing case studies and lessons learned from a wide range of initiatives. "At MU Health Care, we know that better health is a journey in which technology plays a bigger role than it ever has before," Mitch Wasden, CEO and chief operating officer of MU Health Care, said in a press statement. "That's why we're committed to using technology to inform and transform how we care for our patients. We're proud that this commitment has placed MU Health Care among a handful of health systems to earn the prestigious HIMSS Davies Award this year." Case study No. 1 demonstrated a return on investment throughout MU Health Care operations such as medication administration, population health management and emergency department efficiency. Case study No. 2 demonstrated a 25 percent reduction in the number of catheter-associated urinary tract infections at MU Health Care. Case study No. 3 used health information technology to improve communications, minimize delays and streamline the process for operating room starting procedures. Case study No. 4 ensured that data captured by various medical devices was accurately and efficiently integrated into a patient's electronic medical record. "Earning a HIMSS Davies Award is no small task," said Bryan Bliven, chief information officer at MU Health Care and executive director of the Tiger Institute. "Receiving this award validates our emphasis on using and developing information technology solutions to maximize patient care." Davies Awards represent the highest level of achievement for electronic medical records excellence that HIMSS offers. The award is open only to organizations that have achieved HIMSS Analytics Stage 6 or Stage 7 designation for advanced electronic medical records. MU Health Care achieved Stage 7 designation in November 2013 for its transition from paper to electronic patient records in outpatient clinics. MU Health Care has reached several milestones in the adoption of information technology to improve patient care. In July, MU Health Care was recognized for the fifth consecutive year as one of the nation's "Most Wired" health systems in the 2015 Most Wired Survey by the American Hospital Association. In February, MU Health Care gave patients the ability to view physician notes online after a visit. The notes include clinical observations, diagnostic test results and other details of a patient's care, which are automatically synced with the MU Healthe patient portal. The portal is an online secure tool that allows patients to manage appointments, securely message providers, request prescription refills, access immunization history and more. In August 2014, MU Health Care became the first academic medical center and the ninth health system in the country to meet federal Stage 2 meaningful use. The othe health system to score an Enterprise Davies Award recognition is Ontario Shores Centre for Mental Health Sciences, a public teaching hospital specializing in comprehensive mental health and addictions services for those with complex, serious and persistent mental illness. The Whitby, Ontario-based system has 15 specialized inpatient units and extensive outpatient and community services. Ontario Shores conducted a systematic implementation of clinical practice guidelines over a five-year period for the assessment and treatment of patients with schizophrenia, and was able to leverage its EMR to provide real time access to a full spectrum of evidence-based guidelines, increase clinician adherence to clinical best practices and track adherence to practices and provide meaningful feedback to physicians and clinical managers, according to HIMSS. It was also able to make advances against hospital-acquired infections (mental health care facilities face unique challenges in reducing HAIs due to the large amount of time patients spend in communal areas). Ontario Shores utilizes an Infection Prevention and Control status board supporting an innovative symptom surveillance workflow to identify at-risk patients and initiate precautions in the absence of a physician order. It was able to reduce outbreak days from 47 in the year prior to implementation to seven in the year following implementation. "Ontario Shores is the first Davies Award Enterprise recipient in the Behavioral Health Space in some time and the first Canadian hospital to receive this award," said Jonathan French, director of health information systems at HIMSS and program director of the HIMSS Davies Enterprise Committee. "Ontario Shores has leveraged technology to ensure their patients receive the correct treatment and care at the correct time. They have reduced medication errors and infections that threaten the health of their patients, while improving their quality of life through improved mental health. 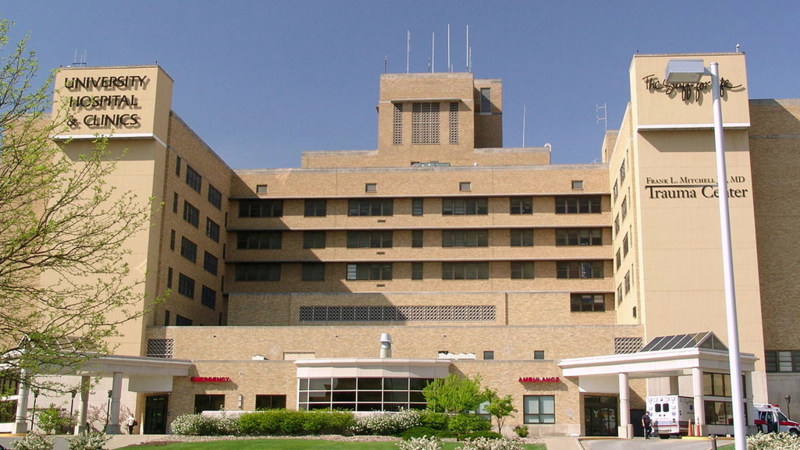 "The replicable workflows they have developed that intertwine real time data delivered by the EMR directly into care delivery are an outstanding example for behavioral health facilities looking to improve care delivery through the use of technology," he added. The Davies Committee and HIMSS congratulate the team members of Ontario Shores on improving the outcomes of their patient population through the effective use of health IT." Both health systems will be honored at the 2016 Annual HIMSS Conference & Exhibition, Feb. 29 to March 4, 2016, in Las Vegas.